Children's hospitals across the country are reporting the spread of a rare polio-like illness which has affected 38 people across 16 states this year. The rare but serious disease known as Acute Flaccid Myelitis or AFM first made headlines in 2014. Since then, the CDC has tracked 362 cases almost entirely confined to children. 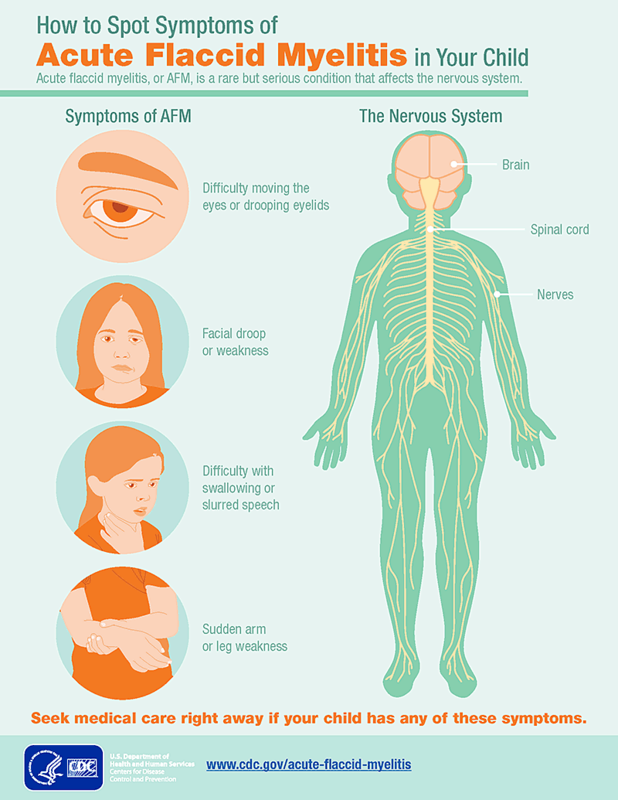 There is no vaccine for AFM - which is defined as an "inflammation of the spinal cord" which results in "limb, facial, oral or eye weakness" which can vary from subtle to severe. 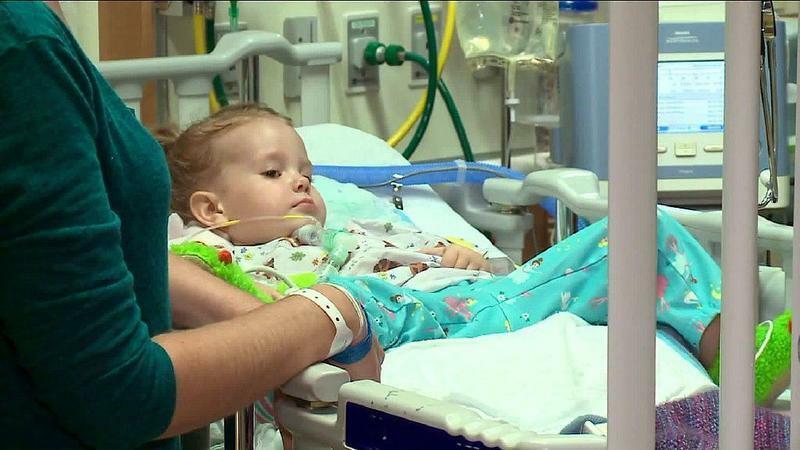 Recently, a 2-year-old girl from Batavia, Julia Payne, was placed on a respirator and fed intravenously after being unable to swallow on her own. "UPMC Children’s Hospital of Pittsburgh is taking care of three children with suspected Acute Flaccid Myelitis. The patients are currently undergoing diagnostic procedures and treatments. Isolation protocols and infection control procedures are in place and we are working with the CDC and the Allegheny County Health Department to further monitor and evaluate the patient conditions." 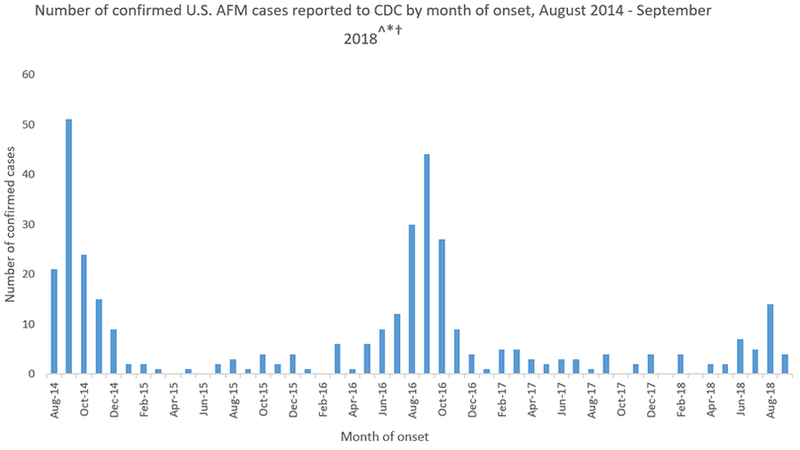 Researchers are unclear on how AFM is contracted, however the CDC has suggested it may be contracted through the polio virus, non-polio enteroviruses, West Nile virus and adenovirus. Disease investigators think that the 2014 outbreak was linked to a respiratory illness in children caused by enterovirus D 68. In rare cases, AFM can cause respiratory failure and death.